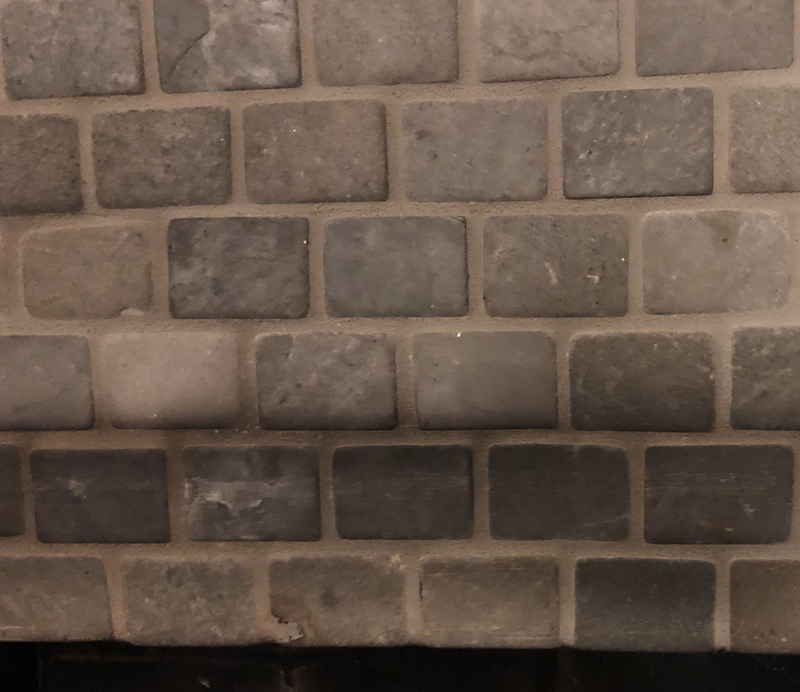 I’m debating between painting the outside of my fireplace vs tiling it but I’m not sure what this material is so I’m hoping you all can help me. At first glance I thought it was tile but when I looked closer I can see that these “tiles” wrap around to the inside. I don’t think there’s any way to tile around an edge like that so now I’m thinking it’s stone or something else. What do you guys think it is? If stone should I just proceed with using masonry paint or should I just tile over this? I’ve tiled floors before and I’m not too shabby but this is my first time tackling a vertical surface. Browse other questions tagged painting fireplace stone tiling or ask your own question. What is this knob on our fireplace? 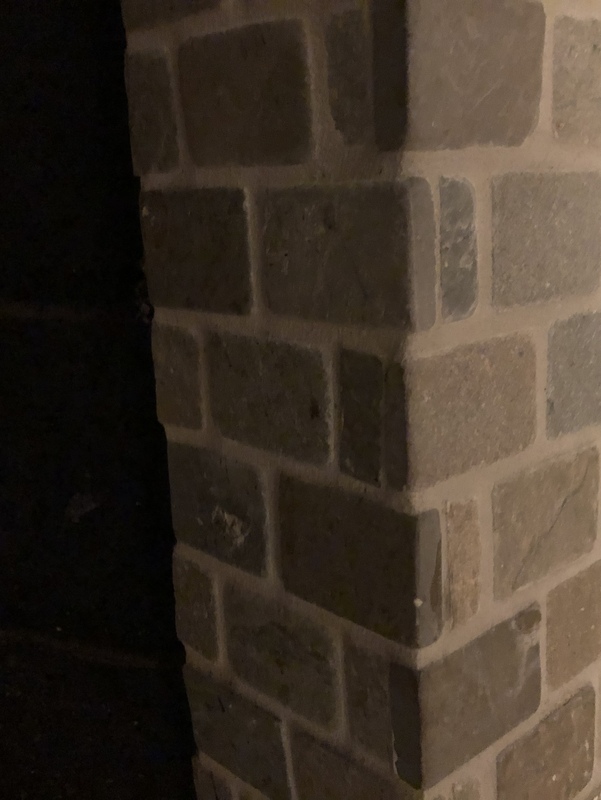 What type of backer board do I need to use to attach a stone veneer around a fireplace? Can I burn wood in this fireplace? What kind of wood is around this fireplace? Best material to seal fireplace door gaps for irregular stone fireplace?